ChargeIt by Jay Silver Embossed Charger Plate 14"
Home > Products > ChargeIt by Jay Silver Embossed Charger Plate 14"
Use the ChargeIt by Jay Aristocrat Silver Embossed Charger Plate 14" to elevate the food presentation at your fine dining establishment or upscale catered event. 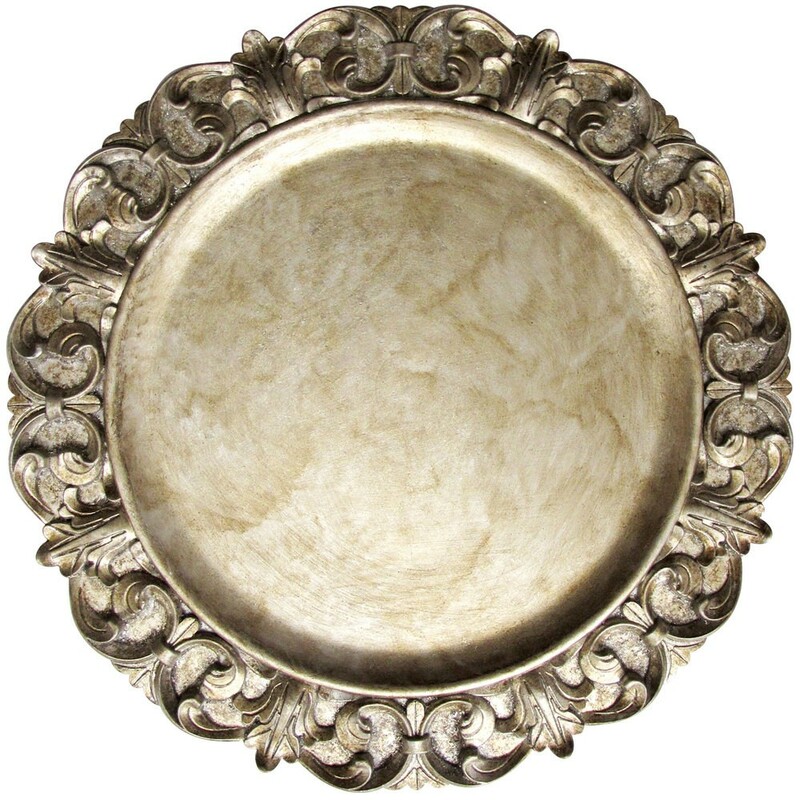 This charger plate boasts an elegant, vintage appearance with an ornate detailing along its edges. Thanks to is silver hue, this charger plate easily complements any table setting while its 14" surface accommodates any size plate. Made from premium quality polypropylene, this charger plate provides outstanding strength and unbeatable durability. For proper care and maintenance, this charger plate should be hand washed only.